The DJ/Keyboard Controller Soft Case from SKB offers a portable case for DJ performance controllers or small MIDI controller keyboards such as the Pioneer DDJ-SX. 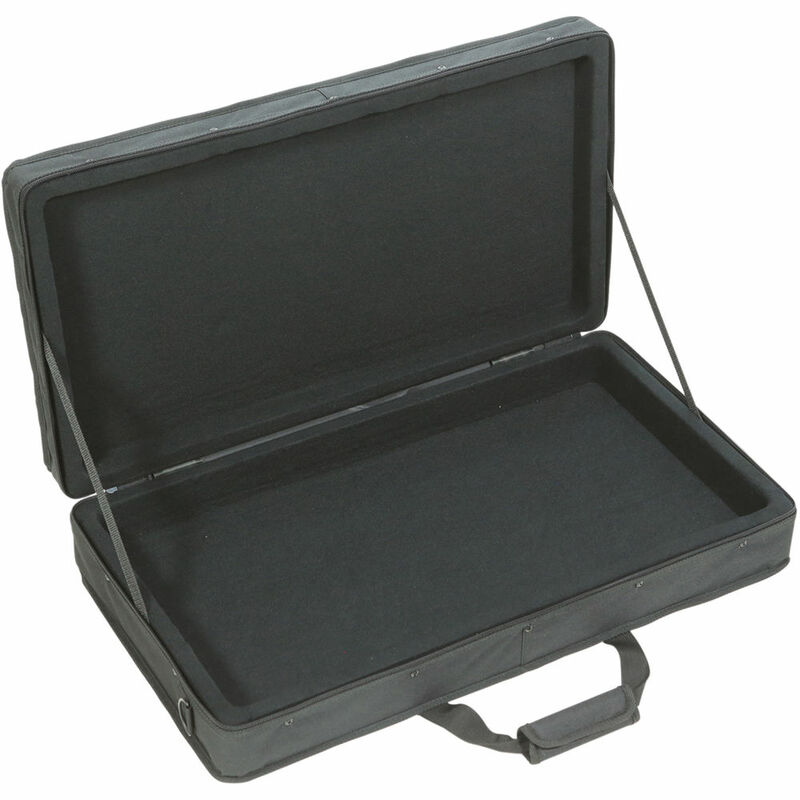 The padded interior includes a 1.5" pad of convoluted foam which allows the case to be compatible with items of different heights. The exterior is made from 600 Denier layered with rigid foam and featuress an accessory pouch. The case also has a double pull zipper, carrying handle, and shoulder strap for transport. Box Dimensions (LxWxH) 29.0 x 17.0 x 7.0"
DJ/Keyboard Controller Soft Case is rated 5.0 out of 5 by 1. Rated 5 out of 5 by Felicia from Great Case Solid build, works great..